Born and brought up in Agra (The land of Taj) I pursued my B.com (Hons.) from Dayalbagh Educational Institute (D.E.I) during which I prepared for my M.B.A entrance exams to enter into a B-school which provides me with an opportunity to grow and shapes my understanding of the corporate world. Hailing from a commerce background IFMR was an obvious and ideal choice for me given my aspirations to pursue a career in finance. My pursuit for M.B.A at IFMR-GSB started in June 2018. The first few months in the campus went-by like a greased stroke of lightning; life at IFMR is quite happening and it forces you to push the boundaries over and beyond your comfort zone. Cultural events, industrial interactions in form of webinars, seminars, guest lectures and of course the academics. Coping up with the robust schedule was the first challenge I face as a fresher who stepped out of his hometown for so long for the first time in life. Then came one of the biggest challenges of an M.B.A pursuit’s life- to get yourself placed, be it summer or final placements the competition is equally tough. Somewhere around mid-August, the placement season began with many big names visiting the campus one after the other for summer and final placements. JPMC was one of them. I, along with 90 others, was shortlisted for CADP (Corporate Analyst Development Program) which hires for 4 key functional roles namely- Analytics, Risk & Control, Project Management, and Process Improvement. The first round was a Group Discussion round where candidates were asked to elaborate their views upon a topic. These topics ranged from political, social stigmas to the most featured Breaking news of the season. This is the same for a majority of companies visiting the campus, But abstract topics can also be given if the panellists wish so. However, the GD s are organized in a civilized fashion with no room for noise and disturbance. At the end of GD round, some 25 to 30 candidates were selected for the further process. The second round was a Technical interview session which was held individually of every candidate. Since I am a B.com Graduate, I was asked many basic questions from accountancy and business management. The panel also asked about the paper presentations and the industrial project I completed during my undergraduate program followed. The questions are mainly from your field of interest and the panel never wastes his or your time asking about irrelevant stuff. Also, I have generally witnessed that panellists ask you question on your co-curricular and field of interests more. Academic questions are concept based and you asked to interpret the results not calculate them. At the end of the Second round, 10 to 15 students were further selected for HR rounds where general questions are asked by the panel pertaining to your educational and social background in order to judge your competency and commitment as a part of the company. Followed by the HR round I was asked to wait for the results, this proved to be the toughest part of the whole process. When you know you are an inch away from securing a position at one of the worlds most reputed company. You see other candidates coming one after another describing their experiences of the interviews and you start counting your odds of selection, the calculations of which echo in your mind. 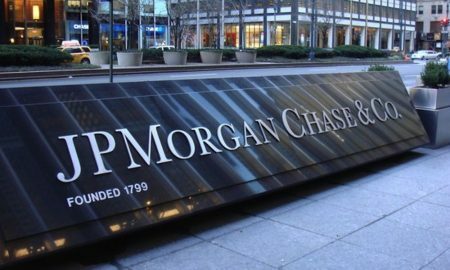 Finally, the results came out; a placecom member entered the room with a white sheet of paper reading aloud 6 names that were selected by the panel for a summer internship at the J.P. Morgan Chase & Company. This announcement was followed by a moment of silence and ended into an hour of excitement and celebration. At the end of the process, all of us (the selected candidates) was once again introduced to the whole panel of selectors where they welcomed us with greetings and gave us advice for improvement on various aspects of knowledge and skill building. I really believe that IFMR introduces you to many such opportunities with many companies coming in for placements, the whole process is challenging and therefore presents an opportunity before you to prove your worth. Established in 1970, IFMR Graduate School of Business, Krea University is a leading business school with the objective of moulding ambitious young men and women into competent and socially responsible organizational leaders in a global setting. IFMR GSB is fortunate to have pre-eminent faculty members, most of whom have Ph.Ds from well-known institutions in India and the United States.